Be prepared for the biggest annual Halloween themed live music festival in Dubai this weekend at fiesta de los Muertos. The Festival line up includes performances by Gorillaz a British virtual band, the famous R&B singer Massari and the popular Mexican band The Mariachis and much more. All these live performances will take place on a spooky styled theme stage at Dubai’s Autism Arena on Friday 24th of October 2017. Zero Gravity is having their Monster Halloween Party for the third year in a row. Expect a shipwrecked crew of DJ’s and super scary entertainers and you can also get the chance to win AED 50,000 for the best costumes. Candypants MEGA Brunch is back, returning on Friday 27th October with a Halloween fancy dress special. With capacity for over 800 ‘brunchers’ who can expect another unforgettable event with a full day of DJ’s, acts and frights before descending into a hellish XL Dubai for the Halloween MEGA Brunch After Party from 4pm. Halloween fancy dress is STRONGLY encouraged. With prizes up for grabs for best outfits! 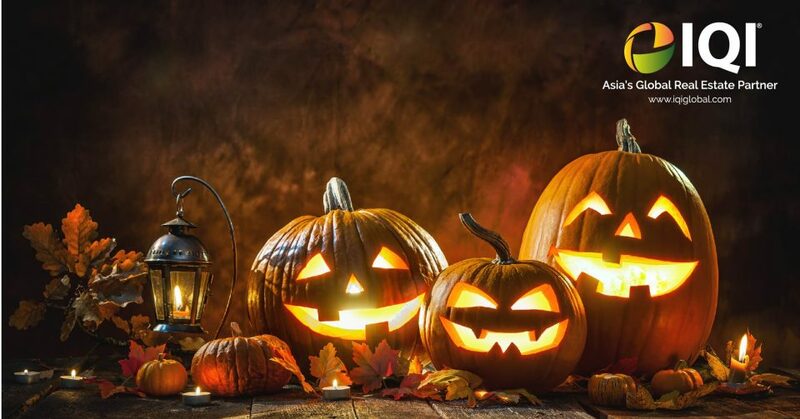 You can enjoy a spooky –looking brunch and a Halloween-themed weekend away at Desert Palm Dubai. It starts with wine and cheese on Thursday night and ends with a family friendly brunch on Friday. Every Friday and Saturday in October and on 31st October. If you are feeling adventurous this Halloween then this is the right place for you. Guests will be invited to have a “spooktacular” night at Wild Wadi, Dubai every Friday and Saturday from 10am to 5pm throughout October and of course on Tuesday 31st. The park will feature a built in prison “The Forbidden Basement” that will hold the creatures of the night. This is UAE’S first haunted house in a water park. There is also a Trick or Treat game for kids and parents, where they can visit different locations in the park in a spooky treasure hunt.